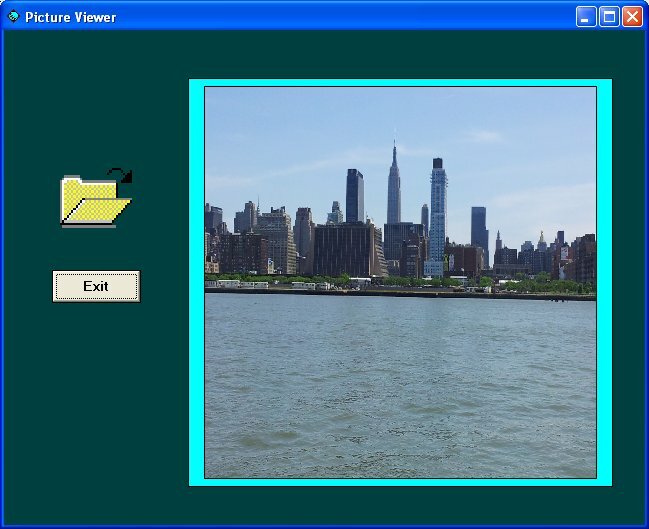 This is a program that enables the user to search for an image file in his or her computer and view it in a picture box. There are two methods to implement the program. The first is to build the program from the ground up and the second makes use of the common dialog box. The first method is a little more complicated but you can learn a great deal of programming techniques. 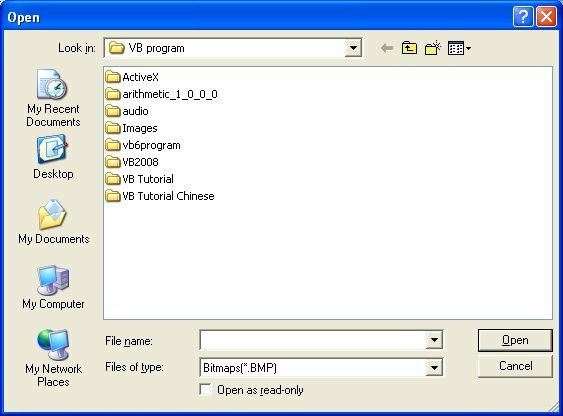 To create this program, you need to insert a a drive list box(DriveListBox) , a directory list box (DirListBox), a file list box(FileListBox) and a combo box . The drive list box is for the user to select a drive, the directory list box is for the user to choose a folder and the file list box is display the files in the selected folder. Besides that, the combo box allows the user to select all graphics files or all files. You also need to insert a picture box to display the image. CommonDialog1.Filter = "Bitmaps(*.BMP)|*.BMP|Metafiles(*.WMF)|*.WMF|Jpeg Files(*.jpg)|*.jpg|GIF Files(*.gif)|*.gif|Icon Files(*.ico)|*.ico|All Files(*.*)|*. *"
to specify the file type, and uses the pipe line | to separate different file types. 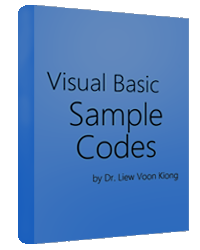 Visual Basic supports most of the picture formats namely bmp, wmf, jpg, gif, ico(icon) and cur(cursor) files. The command CommonDialog1.ShowOpen is to open the common dialog box and the command. is to load the selected picture file into the picture box. When the user clicks the opened file icon, the following dialog will appear. The user then can select the file he or she wish to view.